A sudden question – are you good with your stepping? Those who are skilled in their stepping make a nice “bang” sound. But even some veterans struggle with this. You should step in not from your heel but from your toes, or rather, your whole feet should come down at the same time. To strengthen your step, you can get fast results by incorporating track and field training. Both track and field and kendo are sports that rely heavily of leg strength. 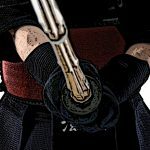 This means that many of the muscles that are trained during track and field training are also muscles needed in kendo. A common training useful in both kendo and in track and field is squatting, which is often called the “king of exercise”. Squatting trains the thigh muscles. Many kenshi have fine muscles on their thighs. And you may think “my thigh muscles are quite fine.” But even if you look like you have good thigh muscles, there is still a chance that you have not developed the necessary muscles for the kendo stepping. 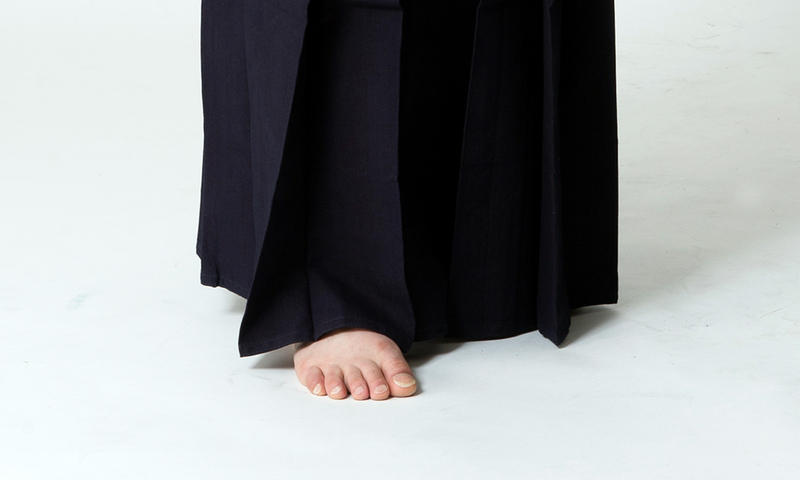 They key for the kendo stepping is to push the ground with your toes and the entire sole of your foot. For that, it is important to train the sole muscles of the feet. But most of us have no clue how to train the muscles at the soles of our feet. Trainers who work with the most advanced instructions in track and field, as well as the athletes, regard the sole muscles of the feet as being very important. The importance of kicking the ground properly is common to both kendo and track ad field. If you have good muscles at the soles of your feet, it will lead to good stepping in kendo. Further, as kendo is a sport played barefooted, you can easily injure your foot. Having good muscles there can prevent such injuries. 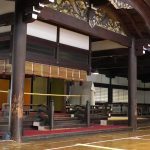 You must be wondering what specific kind of training will give you’re the muscles for good stepping in kendo. Next I will introduce some training methods that will strengthen your stepping. Even the soles of your feet have muscles, and since it has muscles it can be trained. This is obvious if you think about it, but it often gets overlooked. But, as mentioned above, by giving yourself good muscles on your soles you will be able to really catch the ground with your toes. Sit on the chair and spread the towel on the floor. Pull the towel toward you with your toes. It is a very simple movement, gathering the towel with your toes, but if you do this about 15 times a day it will surely strengthen your sole muscles. 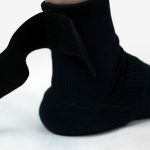 The key point is to keep your heels on the ground, and make sure it does not lift up, and to hold the two at both ends. Imagine dragging the towel all the way to your little toe. 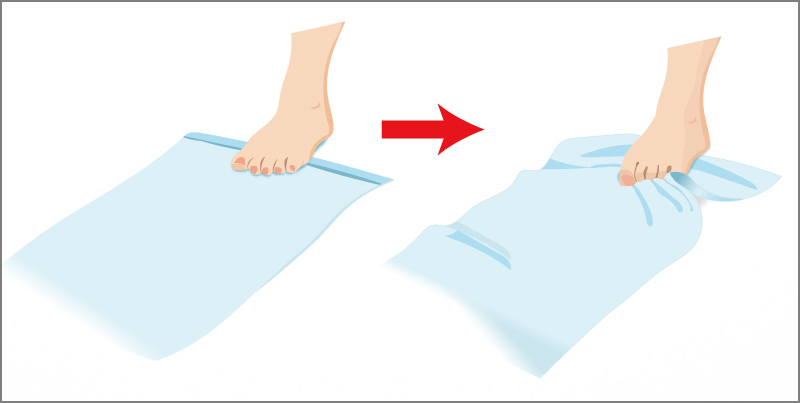 When you get use to this towel-gathering, you can try moving your ankle up and down while holding the towel with your toes, or doing the whole towel-gathering moves while standing up to increase the pressure. Another area that is indispensable for strengthening your stepping is your thigh muscles. But this does not mean you should just mindlessly train your thigh muscles. The muscles needed for the kendo stepping is the hamstring muscles at the back of your thigh. When you make the step, rather than putting your feet forward, you pull your thigh back and kick the ground to gain speed and strength. The hamstrings are muscles that enable you to pull the thigh back. Track and field athletes train the hamstrings in order to run faster. 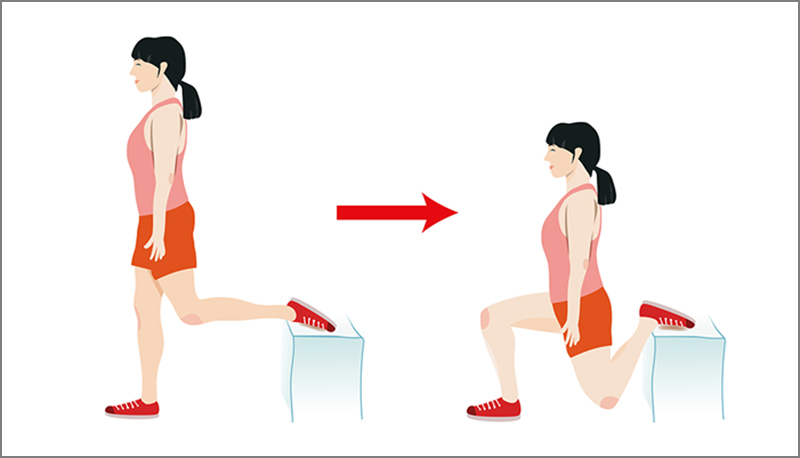 The standard squatting exercise is also implemented in track and field, but the downside is that it puts too much pressure on the front thigh muscles. Here I would like to recommend an exercise called Bulgarian Squatting that work especially well in training the hamstrings. Prepare a bench or a chair. The height should be at about the back of your knees or your calf. Place one foot on the bench/chair, starting from the toes, and then the sole. Put the other foot about half a foot in front of the first foot. Bend your back until your front foot’s knee is bent at a 90 degree angle. Keep your back straight. When you push back up, imaging using the muscles at your buttocks muscles for greater effect. Hamstrings can also be trained through short distance running. 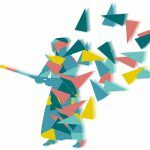 Rather than implementing track and field training, taking on track and field itself can be good kendo training! 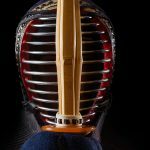 Kendo Foot Supporters: To Use or Not to Use? Why is it forbidden to put our left foot forward?